Recorded Winter 1998. Limited Release 1999. Re-mixed Fall 2001. Unreleased except here on this web site. 40,000 AD. Following the completion of the great transformation, it was to be the era of the Homo Sapien Siberians. There still remained many men as we know them today, and an uneasy truce existed between the two human races.. Among the Siberian corporate was a proctor named Semiphone. Semiphone was a master of time distortion and other amazing feats of technology. Semiphone watched over the eons to ensure the purity of time. His was the task of preserving the intricate thread of events as they are destined to be and have been. Not all Siberians shared Semiphones philosophy. Many believed that the time distorter should be used to change the past and undo those things that should not have been. It was to foil these Siberians that Semiphone assembled the Space Vipers. Hand picked from the masses, the Space Vipers were chosen by Semiphone to implement his vision of order and stability..They were promised great rewards of riches and pleasures seldom known to the other Sapiens. A disruption in time was detected by Semiphone during the period of the last ice age, around 13,000 BC.. Placed by unknown agents, a great swarm of carnivorous Ice Bees landed on the barren exposed land mass today known as Beringia. This land bridge was to serve as the crossing point that was to be used by cave-dwelling humans traveling from Asia to North America. Critical to the development of history, the proto-Indians had only a generation to use this land bridge before it was submerged by warmer waters forever. On the other side of Beringia lay the vast North American continent with all of its large game and varied plant life. A single bee was capable of devouring a polar bear or caribou., and would make a quick snack of any human who crossed the strait. To Semiphone, this was unacceptable. 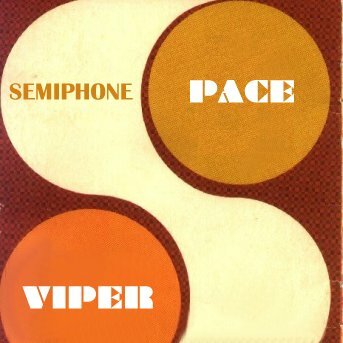 Equipped with a time distorter, the Space Vipers were sent by Semiphone to journey into the past and resolve the situation. Only then could the time line be restored. Obediently, the Space Vipers accepted their assignment. Landing in the Yucatan peninsula, the space Vipers came upon a vast colony of Yucatan Ants. Using the technology of the Siberians, the ants were genetically enhanced for the purpose of war. Now known as Army Ants, they were driven across the glaciated North American continent to engage and defeat the Ice Bees. As the Space Vipers watched, there was a terrible battle. After three days the ants swarmed the hive of the Ice Bees and destroyed the queen bee. Defeated, the Ice Bees disappeared into the heavens to seek a new planetary home. It was during the celebration that Semiphone learned that the queen of the ice bees, Alustra, was also Siberian. No regular human was permitted to kill a Siberian for any reason. Furious, Semiphone stranded the Space Vipers in the past, to fend for themselves in the terrible cold of the north.